Most everyone starts with shared hosting, and there’s nothing wrong with that. Shared hosting is inexpensive, and if you choose wisely, it can do the job for you. At least for a while. But managed WordPress hosting is a big improvement, and will save you time, in three important areas. WordPress is the most popular site-building platform, used by over 25% of all websites. The downside to that popularity is that it’s a tempting target for hackers and purveyors of malware. Managed hosting is more secure than shared hosting. Period. And when your site is more secure, it frees up your valuable time to focus on creating great content and attracting readers to your site. Remember the Panama Papers scandal last year? The law firm was vulnerable because they didn’t keep their WordPress site updated. They were running an old version of WordPress, and their plugins. . . well, I’d rather not even think about it. It’s important to keep everything up-to-date, because as security vulnerabilities are found, updates include patches to fix them. So if you’re running older versions, the internet bad guys already know how they can sneak in and wreak havoc on your site. One of my recommending managed hosting companies, WP Engine, says this about its process for updating WordPress. “We don’t update during the beta or immediately when the update is released. Instead, our engineering team tests the new release and its features against our system to see how they act and react to our platform. We will also take note of any known issues you can expect after an update and have actionable solutions, should you be affected. In other words, they make sure the update works with their server configuration, and then they’ll automatically update for you — after notifying you and giving you time to make any needed adjustments to your site. It’s the responsible thing to do. On top of that, they’ve developed a process that allows them to actually test your site after the update and make sure everything’s working correctly. If it’s not — they revert to the previous version of WordPress and help you fix the issue. WP Engine expects you to keep your plugins and theme up to date, but when they learn about a security vulnerability, they’ll let you know so you can take immediate action. That’s time you don’t have to spend updating is time you can work on your business. Working to improve site speed on the wrong host is a time-sucking battle that you can’t win. Ready for Managed WordPress Hosting? 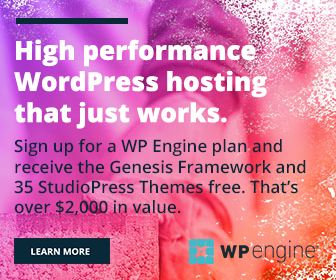 In addition to all that you’d expect from a reputable managed WordPress host, one of WPEngine’s features that I particularly like is their staging. 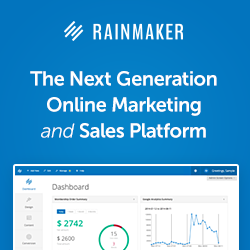 They make it very easy to create or modify a site out of the public eye. Then, when you’re ready to show the world your changes, it’s pretty much click-of-a-button simple. Learn more about WPEngine’s staging sites here.Special: Sign up for WP Engine hosting between December 25-31, 2018, and get 4.5 months free!!! Note: Some of the links in this article are affiliate links. This means, if you click and purchase, I receive a small commission. You pay exactly the same amount, but the commissions help me keep this site going. This post was updated on January 2, 2019. When Is It Important to Know These Two Geeky Hosting Details?